Keith Ranger Edmundson died at the age of 44. Keith came into this world on Dec. 19, 1974, in San Jose. His loving parents, Carl and Janet Edmundson, were excited to complete their family. His mom often says, “Keith broke the mold.” His older brother, Kevin and older sister, Kirsten, were enamored with the bouncing baby boy they brought home. With family complete, they lived in Saratoga where Keith attended Sacred Heart Catholic School. When Keith was 13, they moved to the town of Blairsden in northern California. Keith grew up in the woods, where his love of all things that brought him to nature began. He rode snowmobiles and dirt bikes, fished, water-skied, hunted and camped. He yearned to climb every mountain. Keith’s curiosity about how engines ran thrived, and he soon learned to tweak motors to make snowmobiles and dirt bikes go faster. He loved to test the limits of everything. Lured by his family, he moved to northern Idaho to be the “fun” uncle to Makayla, Haley, and Bryant Donovan and Alexa, Kyle, and Ryan Edmundson. He loved to spoil them rotten and then return them to their parents — “Perfectly normal, totally natural.” He adopted Tahoe (a four-legged child) from his sister and many years later mourned her passing. Keith went to work for RSRacecraft and toured the country doing what he loved — wrenching on motorcycles on the racing circuit. When that job ended, he was finally ready to be a dad again and he adopted the best kind of kid, the four-legged kind, Harley. Beyond his blood family, he had a knack of making his friends become his family. He was a kind soul whose love and generosity knew no limits. 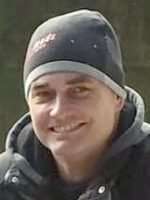 He passed away on Jan. 19, 2019, and is survived by parents, Janet and Carl Edmundson, of Coeur d’Alene, Idaho; brother Kevin Edmundson (Christina), of Post Falls, Idaho; sister Kirsten Donovan (Chaz), of Hayden, Idaho; his six nieces and nephews; and many cousins. Funeral services were held at St. Pius X Catholic Church in Coeur d’Alene, Idaho, on Feb. 2. 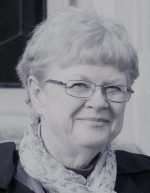 Ellen Holland, of Blairsden, passed away the morning of Jan. 15, 2019, at age 68. Ellen is survived by John Preschutti, her devoted husband and partner of nearly 30 years. Ellen is also survived by her daughter, Emily Demos (Sean Hagan), of Bend, Oregon; and stepdaughter, Erin Preschutti (Fred Putt), of San Francisco; grandchildren, Geno and Giulia Putt, of San Francisco; brother, Fred Holland, of Rohnert Park; and stepmother, Carol Holland, of Walnut Creek. She also leaves behind a great many extended-family members and loving friends. Ellen was born on June 28, 1950, in Chicago, Illinois, to Phyllis Siegel and Jerome Holland, both of whom pre-deceased her. Ellen lived with ongoing serious health problems beginning in childhood, but that didn’t prevent her from graduating from UC Irvine with a degree in English and later even becoming a pit boss at Harrah’s in Reno, Nevada. She moved to Eastern Plumas County in 1985 to raise Emily who was her greatest joy in life. In the 1990s Ellen returned to college to obtain her teaching credential. Subsequently, she worked as a teacher in Plumas County schools, most notably as a loved sixth-grade teacher at Portola’s C. Roy Carmichael. Ellen maintained close ties with former students and their families long after retiring. Ellen had a special love for animals, especially for her little Grady. She always had a particularly welcoming smile and a kind word for all, plus a heartfelt hug. Perhaps most memorably, she made friends wherever she went, always striking up conversations with people from all walks of life who crossed her path. She loved life. In retirement, Ellen’s social life revolved around friends, old and new, particularly those involved in knitting, yoga and her book group. She was especially close to Melissa Sheets of Johnsville, her longtime friend, fellow teacher and walking pal. Ellen will be dearly missed by all those whose lives were touched by her friendship. A memorial for Ellen will be held on May 11 at 12 p.m., at the Graeagle Corner Barn. 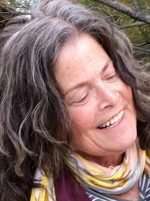 Donations in Ellen’s memory may be sent to Friends of Portola Library, 34 Third Avenue Portola, CA 96122. On Nov. 27, 2018, Norma Leann Buus Wright passed away peacefully after suffering a stroke on Nov. 22. Norma was born on July 20, 1938, in Luverne, Minnesota, to Ben and Grace Buus, who were farmers in Minnesota. Upon learning of opportunities in the logging industry in northern California, in 1941 the Buus family headed west and settled in Quincy with their young daughters, Norma and Marjory. Norma graduated from Quincy High School in 1956. She then attended San Jose State College, majoring in Interior Design. While working part-time in an art supply store, she met her future husband, Larry Wright. They were married in the Quincy Methodist Church on Dec. 27, 1959, and made their first home in San Jose, where Larry worked as a civil engineer. Norma and Larry had three daughters: Leah, Lori and Jill. After a number of years moving between large cities for work, they decided to make a life and career change and return to Norma’s hometown of Quincy. They purchased a second-hand furniture store in East Quincy, which they turned into a successful antique shop over the next six years. The antique business proved to be their calling. In time, they were in a position to move to Carson City, Nevada, where they purchased and renovated the historic Bliss Mansion as their new home, while opening another antique shop. After a few years in Carson City, they moved to Morgan Hill for five years, then to Pebble Beach for the next ten years. During this time, they combined their talents to run antique shops in Carmel and Pacific Grove, while Larry returned to civil engineering. In 1994, they retired and returned to Reno, Nevada, to be near family. Larry passed away on Aug. 14, 2001. Norma continued with her interest in antiques and for several years participated in antique malls in both Reno and Carson City. Norma was a devoted wife, mother, grandmother and sister. 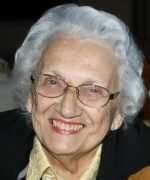 She was a warm, kind person who enjoyed sharing her knowledge of antique furniture and art with others. She was also artistically gifted and enjoyed painting, crocheting and sewing, enthusiastically sharing her talents with her grandchildren. Her home reflected these passions. Norma had an incredibly strong faith, which she emulated through her love for family and friends. Norma is survived by her sister, Marjory Salhus; and her three daughters: Leah Shepard (husband Richard), Lori Hilderbran (husband Harold) and Jill DiLillo; six grandchildren: Kalee, Allie, Lauren, Emily, Kelsey, and Owen; and one new great-grandson, Nico. Norma will be deeply missed by her close family and many friends. At Norma’s request, there will not be a memorial service.